Apple is not expected to accept pre-orders for the two devices, and the short period between announcement and launch suggests Apple expects supplies of the iPad Air 3 and iPhone 5se to be plentiful. It is unusual for Apple to offer an iPhone directly after an announcement, but this is the first time the company has launched a standalone non-flagship device. Rumors have suggested the iPhone 5se will be similar in appearance to the iPhone 5s, but with the curved cover glass used in the iPhone 6s. It is also expected to include an upgraded A9 processor and an 8-megapixel camera similar to the camera used in the iPhone 6. The iPad Air 3 is rumored to take on design elements from the iPad Pro, offering a four-speaker layout and a Smart Connector that would work with iPad Air accessories. 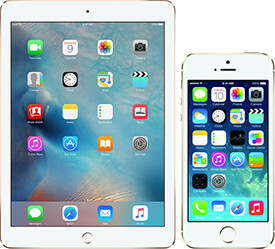 Size wise, it is expected to be nearly identical to the iPad Air 2, and i may also include a rear-facing flash. Apple's March event is also expected to see the debut of new bands for the Apple Watch, including a Black Milanese Loop that was spotted on the Czech Republic Apple Store website in January. Software currently in testing, including iOS 9.3, watchOS 2.2, OS X 10.11.4, and tvOS 9.2 could be unveiled shortly after the event.